Modi, who was invited by Obama for a bilateral visit when Modi travelled to the US for the nuclear summit in March, will be the fifth prime minister of India to address a joint meeting of Congress. Prime Minister Narendra Modi will undertake a two-day visit to the US from June 7 during which he will address a Joint Meeting of the US Congress and hold talks with President Barack Obama to review the progress made in key areas of defence, security and energy. Modi, who is leaving for Iran on Sunday, will also pay a two-day visit to Qatar from June 4. 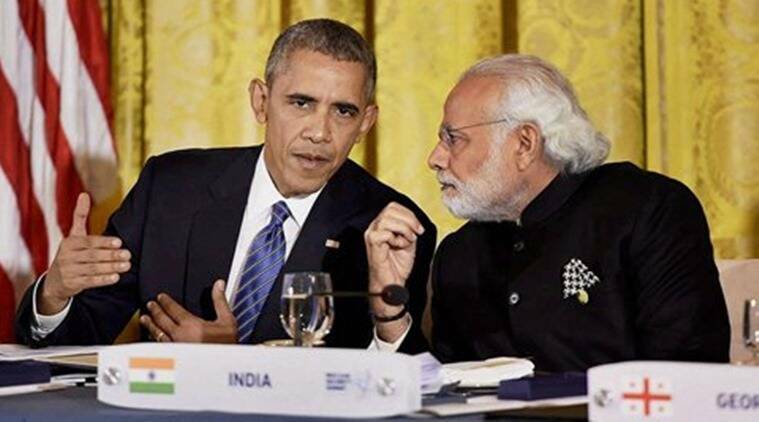 At the invitation of the US President Barack Obama, the Prime Minister will visit Washington DC on June 7-8, 2016, the External Affairs Ministry announced on Friday. “The main objective of the forthcoming visit of the Prime Minister would be to consolidate the progress made in diverse areas such as economy, energy, environment, defence and security, and to intensify cooperation for the future,” it said. The Prime Minister has also been invited by the Speaker of the US House of Representative, Paul Ryan, to address a Joint Meeting of the US Congress which he has accepted, it added. Earlier, Prime Ministers Manmohan Singh (July 19, 2005), Atal Bihari Vajpayee (September 14, 2000), P V Narasimha Rao (May 18, 1994) and Rajiv Gandhi (July 13, 1985) addressed the joint meeting of the US Congress. The US Congress has been a source of strength for the India-US strategic partnership and the India Congressional Caucus is the largest such group in the US Congress, the MEA said. During the visit, Modi will have interaction with CEOs of major US companies. Realization of the full potential of Indo-US economic partnership has been a key priority for both the countries and the progress achieved in this regard is reflected in the increased investment flows, the ministry said.